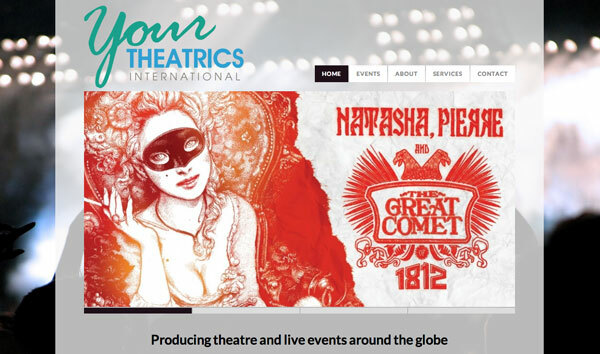 The Challenge: To create an engaging, fresh design for a theatrical productin company that would highlight their schedule of international events. The Solution: Getting the right calendar for this site was really important. 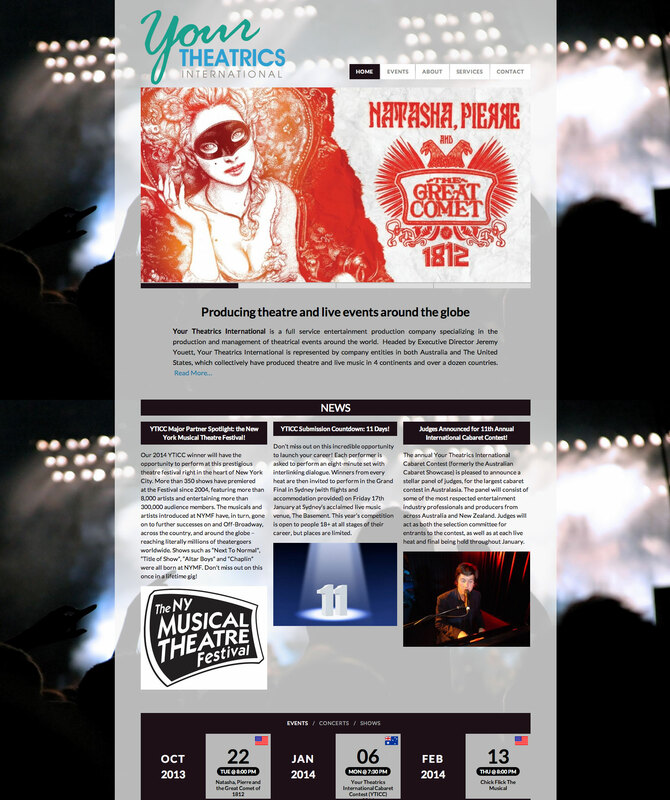 The client liked the calendar from Eventure, an existing WordPress theme. I was able to customize that calendar to show flags for events in different countries, plus a customized layout that reflected the exciting nature of their performances.